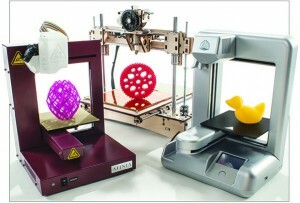 One of the newest versions of this type of technology is at-home 3D printers. What was once only possible in commercial settings is now becoming possible for the “average Joe” in his own home. But it’s not quite as easy as it sounds. First of all, these machines aren’t exactly cheap. Easier-to-use and simpler models are usually a couple thousand dollars. But if you want one that’s high-end and that will make better quality objects, the price is going to rise quite a bit. Also, these printers aren’t like your everyday paper printer. It’s not just a matter of pressing buttons and letting the machine do all the work. 3D printers have some components to them that you will actually have to know how to use andcalibrate yourself. Generally, the 3D objects these printers construct are made of plastic or rubber, but a variety of other materials can be used as well. In September, a prototype model of a liquid metal jet printer was introduced. But we’ll get to that later. 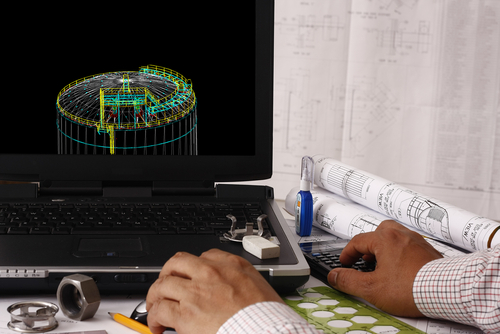 Basically, the process starts by the user either designing an object using computer aided design (CAD) or animation modeling software. You can also download ready-made designs from websites online. After you’ve got your design, you send it to the 3D printer. The process is not instantaneous. It takes time. Of course, it depends on how large the object is. The printer has a nozzle that will either spray, squeeze or somehow transfer the material you chose from the printer onto a platform underneath. Then, layer by thin layer, the printer builds the object by passing over and depositing material according to the design specifications. Like we said earlier, there is a new at-home 3D printer being made that is able to build objects additively out of metal (particularly aluminum and copper, but using other metals is expected to be possible as well). This printer uses the same basic concept as what we discussed above. Instead of rubbery material being squeezed out of the nozzle, droplets of molten metal are dispensed out of numerous nozzles using natural or induced magnetism. Then, once again, the object is built layer by layer. The current intent for the printer is for small businesses, but the creators plan on furthering the design to eventually make a more at-home-friendly version. When it comes to how these printers will affect the die casting industry, it’s been determined that they are actually a bit of a help. These printers allow die casters to make sample parts fast so that customers can test out their 3D designs before the tool is built for die cast. This would save design changes that would have to be made afterwards, which would in turn save some time and money. So all in all, these machines may still be working their way into the home, but it’s looking like they could have some greatbenefits for those who can use the technology on a regular basis. If you have any questions, inquiries, or project files, please send them to sales@diecasting.com. We’d love to talk to you! Previous Previous post: Happy Thanksgiving from Premier Die Casting!